If you came to this page, you probably want to watch the full The Witcher 3: Blood and Wine walkthrough. Well, you can do it right here! Very often there are moments when it is unclear what to do in the game. So if you want to simplify your game and to save time, you can just see it walkthrough. Also it will help you to find the secrets and perhaps even some Easter eggs. Below is a playlist. Click on it to begin watching right from the first part. Blood and Wine is the final expansion for The Witcher 3: Wild Hunt, and it is one hell of a way to go out. The Witcher 3: Blood and Wine expansion is more Witcher 3, carrying on the exceptional base game and adding to it through a new region, a new mutation system, and new stories to experience. Blood and Wine is a wonderful expansion, and a superb send off for Geralt. 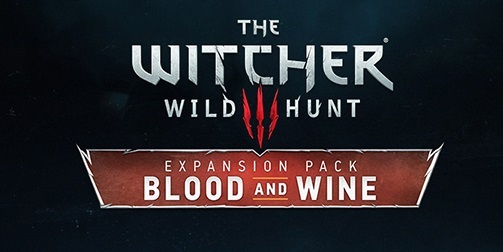 In Blood and Wine, Geralt travels to a new land called Toussaint after being hired by Duchess Anna Henrietta to take care of a monster that has been murdering knights. The expansion begins in No Man’s Land in order to highlight the contrast between the death and destruction of the base game, and the beautiful tranquillity of Toussaint. It’s as Geralt says, Toussaint looks like it is right out of a fairytale. Toussaint is immediately more colourful and seemingly peaceful than any other region in The Witcher 3. It’s a land of castles, knights and wine, with the flat plains of No Man’s Land replaced by more mountainous contours and green pastures. Toussaint is picturesque, and a great world for Geralt to end his adventures in.